A healthy slate shower. An experience, you wanted to experience. 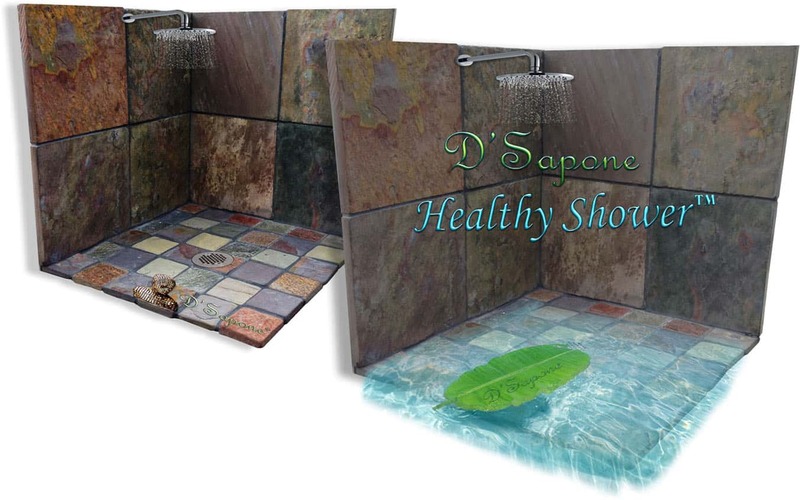 Unbelievably, our ‘Healthy Shower’ is stain and mold free. 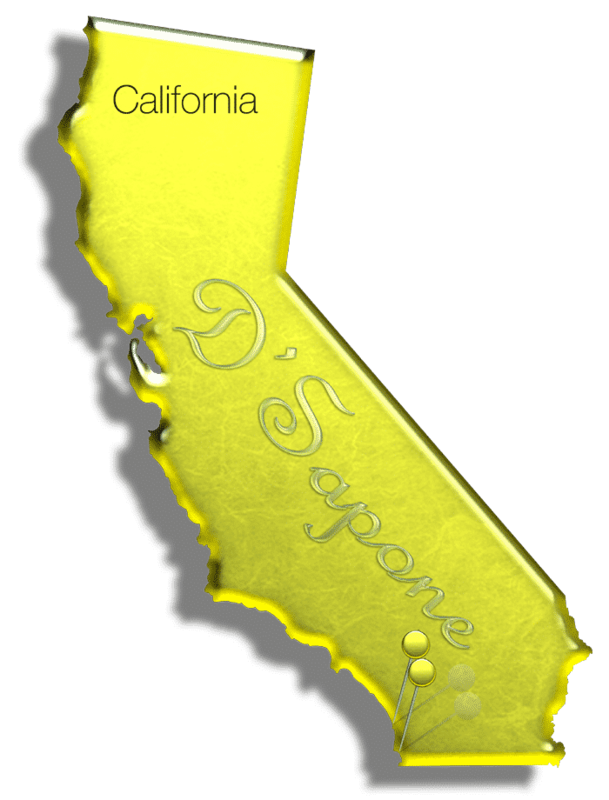 D'Sapone® has also designed it to be caulk free, durable and low maintenance. Our artists, providing the best slate shower restoration service in San Diego, are passionate and that’s what separates them from the status quo contractors. 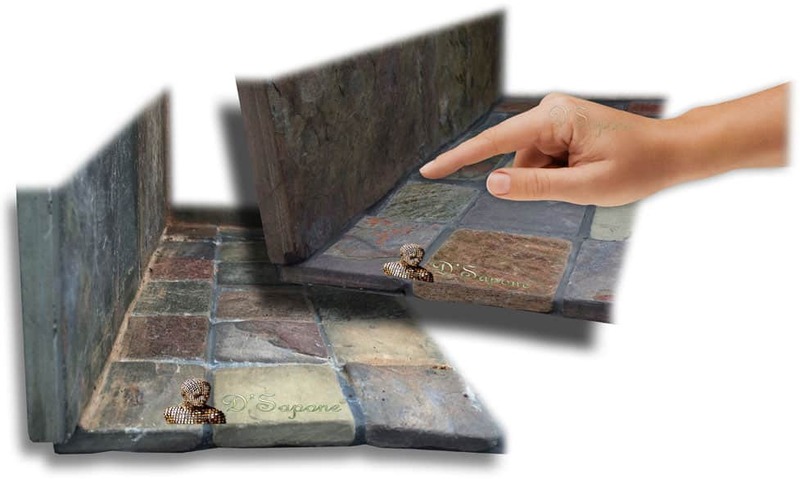 Not only do we clean the stone while performing our patented slate shower restoration service in San Diego – we also prep and sanitize it while releasing all stains and sealers from the slate. 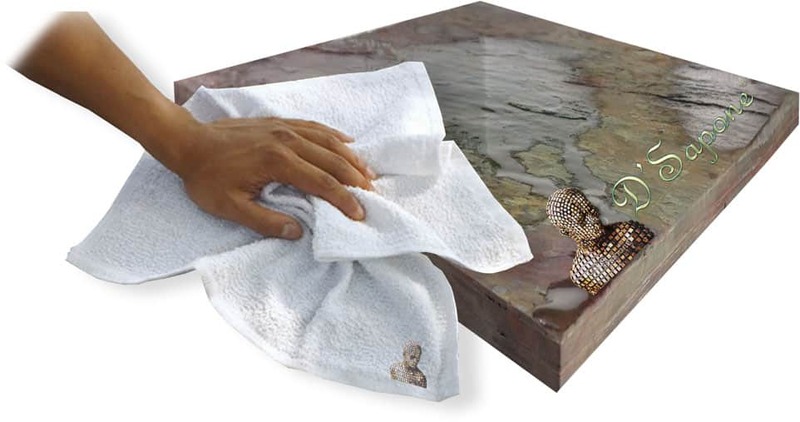 Eliminating all mold, mildew, soap scum and stains from the stone is an art our San Diego artists came to master. Caulk peels within six months, allowing mold, mildew and stains to take place, which is nothing short of a burden. We have eliminated shower caulking with Sentura – a 2 part pigmented flexible resin, waterproofing the corners to prevent the occurrence of mold and stains for a lifetime. 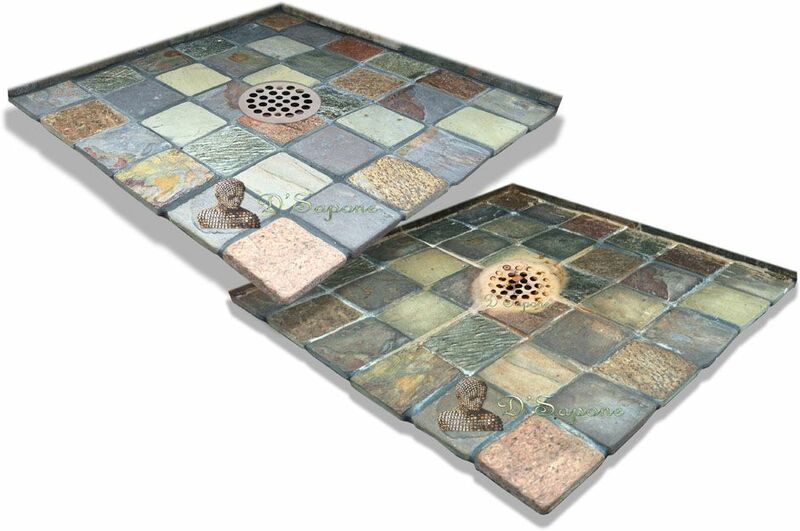 Enjoy the beauty of your slate shower with stain and mold free grout. 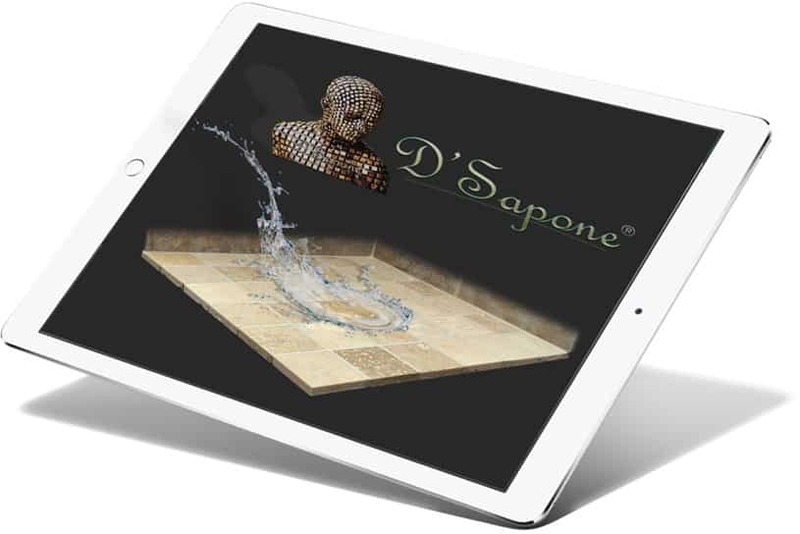 We will apply Caponi® – a 2 part pigmented titanium grout sealer, to the grout. 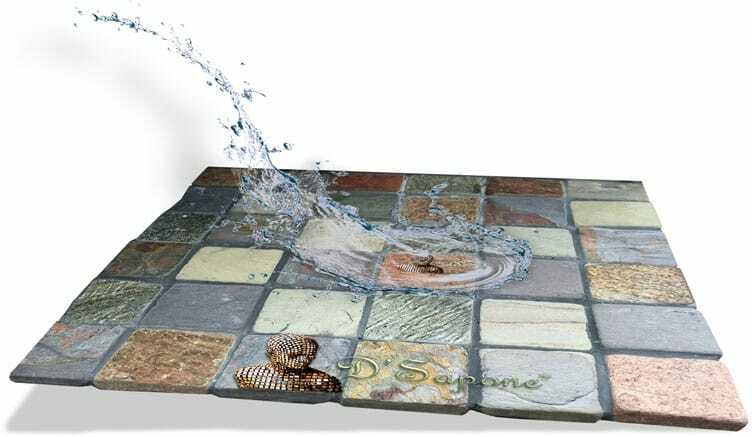 It soaks deep into the surface preventing mold, mildew and stains with a 5 year labor warranty. Cleaning the stone only removes stains and mold, but it doesn’t prevent their occurrence as slate is very porous. Our ‘Healthy Slate Shower’ service comes with a Repela-Bond sealing process. Repela-Bond is an invisible water based sealer that delivers a hydrophobic appearance to the surface. 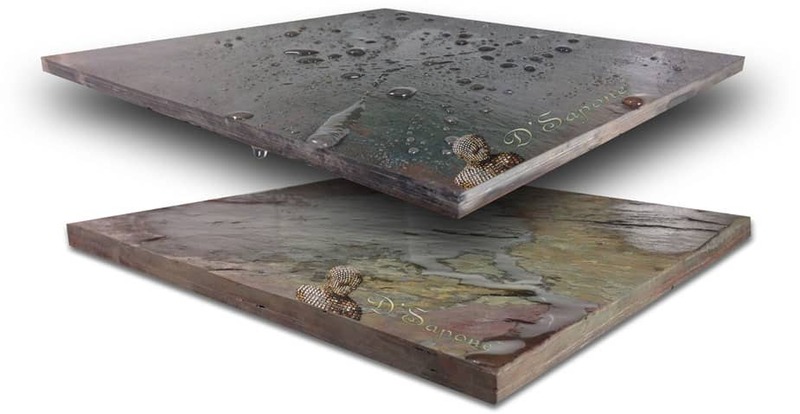 Slate comes with all the crevices, retaining moisture that causes mold and mildew to grow. Mold takes place in the corners and grows throughout the entire shower, if not taken care of with the correct product. We use Celine – a clear resin topical solvent based sealant, seeping deep into the slate tile to prevent mold and mildew. Efflorescence – a white substance, covering the drain and occurs over the tile and grout. It clogs the drain and cracks the slate tile and grout, which is a burden. We don’t only eliminate the efflorescence, but also achieve that new look you strive for. We protect showers with Celine, preventing the efflorescence growth. We repair the cracked grout between the slate tiles with Sentura, which is formulated with a 1200psi adhesion. 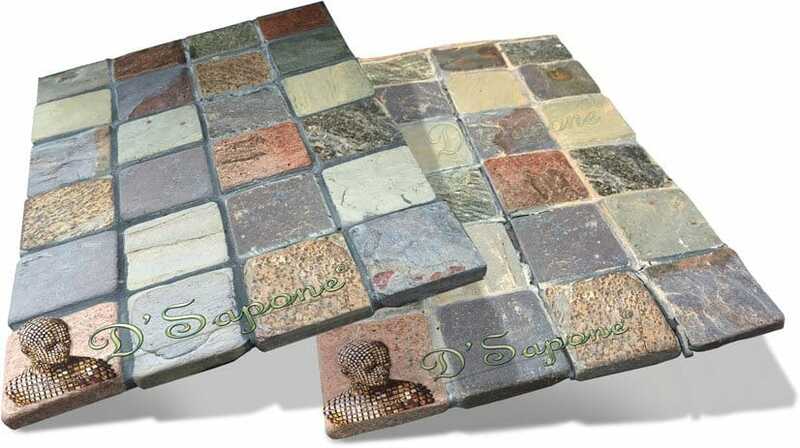 Sentura can be pigmented in more than 40 colors to match your current grout color and deliver that lush natural look. Once we restore your slate shower, you can maintain it yourself with Valore with little effort. 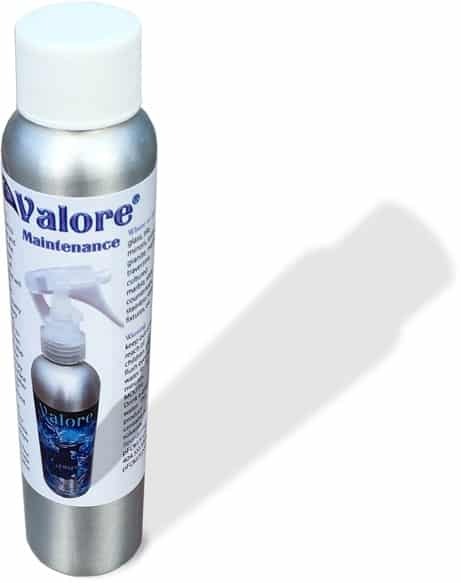 Valore is a maintenance cleaner, adding a coating protection to the surface keeping its durability and look with a 5 year labor warranty. Slate shower restoration service in San Diego. Our San Diego artists will take your slate shower to a sanitized level with no mold and no stains. Email us the images of your damaged areas or call us now to get a free estimate. What are you waiting for? Contact us today and enjoy a ‘Healthy Slate Shower’ everyday. Questions about slate showers? Here are our answers. 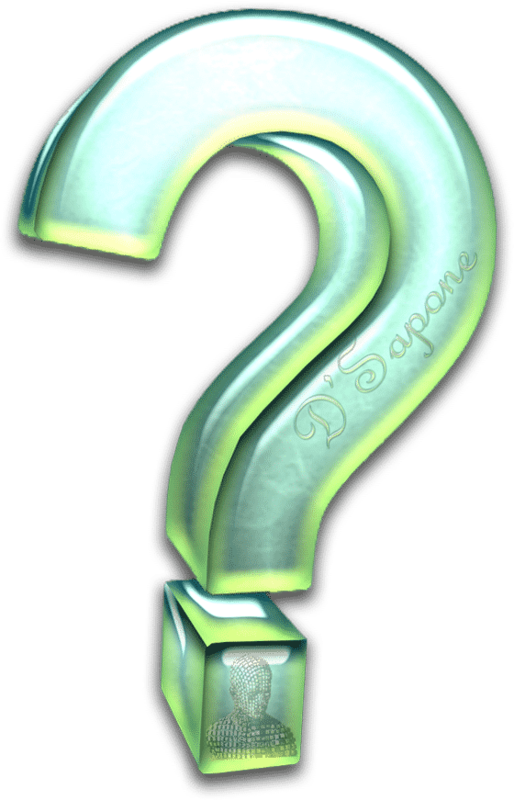 Does D'Sapone® warranty the ‘Healthy Slate Shower’ process? Yes. Our goal is to create an immaculate stone shower with our quality slate shower restoration service in San Diego. Will Repela-Bond change the look of my slate stone? No. Repela-Bond is an invisible sealer, leaving slate with a natural look. Wait at least 24 hours before showering, after we deliver our slate shower restoration service in San Diego. The question speaks for itself. We are passionate artists, providing the best slate shower restoration service in San Diego.